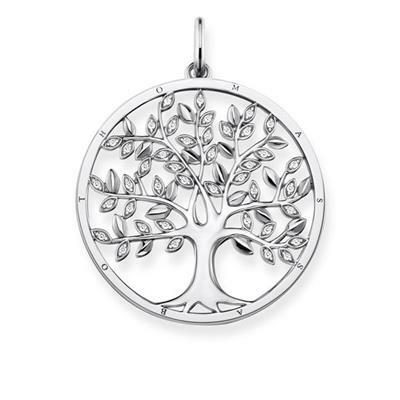 Take your family with you wherever you go with this Thomas Sabo Family Tree Pendant. A large circluar pendant with an ornate tree design in the centre. Created from 925 sterling silver and Cubic Zirconia, this pendant will hang beautifully on any Thomas Sabo Jewellery Chain.